A week on from the London Marathon and the aches and pains of the 35,674 finishers may be fading fast, but are any of them ready to run, not 26.2 miles, but 62? For those who balk at taking on the marathon, running 62 miles – the distance between London and Cambridge – seems like something for masochists. Its not, its called ultra running. 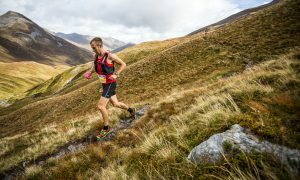 Great Britain coach Norman Wilson has already begun sifting through the list of London competitors in search of those tough enough to become an ultra runner. Being tough enough means taking part in challenges on the track, road and mountainside, even running through the night. In other words, just about anything that fits the International Association of Ultrarunners (IAU) slogan: “Beyond the Marathon.” “After London I will be contacting several athletes to encourage them to step up beyond the marathon,” Wilson told BBC Sport. “I worked with 130 athletes last year and we now have a nucleus who are capable of jumping up to 100km (62.13m) within two years.” In 2005, Wilson spotted Lizzy Hawker in a 40-mile track race in Wales. By 2006, the Cheshire runner had become world 100km champion. “We saw her ability but did not anticipate she would be world champion less than two years later,” says Wilson. Hawker, who took gold by completing the 100km race in Korea in seven hours, 29.12 minutes, says her dramatic rise was unexpected. 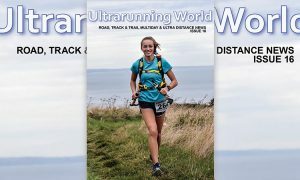 “I fell into ultra running by chance,” she admits. “Ive always run to keep fit for when Im in the mountains, but I have no history of racing or training for a club. It has all happened so quickly.” Although Wilson describes Hawker, an adventurous mountaineer and skier, as unique, the raw qualities he saw in her are required by every ultra runner. 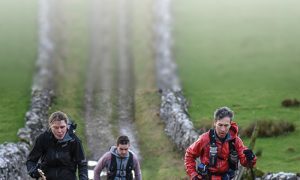 Physically, potential recruits must have plenty of in-built stamina and a talent for endurance running. In terms of performance that means men being able to run a marathon in two hours, 30 minutes and women in three hours, five minutes. Of equal, if not greater importance, is mental strength, an ability to narrow the minds eye into tunnel vision.